While we maybe living in a post-PC era, there is no denying the fact that the desktop OS still matters. Mac OS X is an operating system that is still ahead of Ubuntu when it comes to the race towards the number one desktop. Apple knows that, and that is why they seem to have put a lot of work in making Mac OS X 10.10 "Yosemite" as good as their mobile operating system, which is iOS. The goal here is convergence. Apple wants to build an ecosystem in which the desktop, the mobile, and the wearable operating systems work seamlessly together in harmony. This is the same thing Microsoft is aiming for and so is Google. And yes, Shuttleworth's brainchild Ubuntu is shooting for the same thing by working really hard on the next iteration of the open-source OS. But, with all these efforts, can Canonical match up with its competition? Well, it can if it takes some of the great things its competitors are doing. Both Apple and Google are known for "borrowing" each other's ideas. If Canonical does a bit of that, its desktop might be able to reach a whole new level. So, if you are an Ubuntu fan wanting some of the best things from Apple's latest Yosemite on your desktop, here is a list of few things Canonical can steal or copy from Cupertino right away. While there are many speculations as to whether Apple copied the latest Spotlight search feature from Ubuntu's Dash, it is still a feature that will take desktop search to a whole new level. Searching on Ubuntu works like a charm. You enter in the query and results show up from both online as well as offline sources. Having said that, it lacks the same intuitiveness as Spotlight. Search is sometimes erroneous and the Dash taking over the whole screen to search feels a bit "heavy". We hope Canonical refines Ubuntu's search even further so that it matches the quality offered by Spotlight both in terms of speed as well as the accuracy of results. Airdrop is an amazing feature that lets users transfer files between your computer and other devices in the same network. The feature is further tweaked and polished in Yosemite, making it even better. Ubuntu currently lacks a user-friendly way of transferring data between two computers. We hope Canonical takes some ideas from Apple and comes up with a nice way of connecting devices in the same network. In Yosemite, Apple updated finder with features like tags to help users find their content better. While Ubuntu doesn't need an exact replica of Finder, it does need a better and more organized Nautilus. Ubuntu's default file explorer is simple and gets the job done pretty well. However, with the humongous amounts of files on our desktop, a little more organization is the need of the hour. What Nautilus needs is a blend of Windows Explorer and Finder's best features. Maybe a set of libraries that can be created by users according to specific search criteria. The notifications in Ubuntu are really pretty, in fact, much prettier than those on Windows. 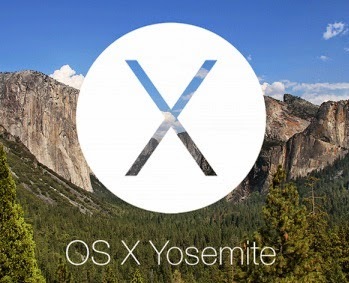 However, they barely measure up to what Apple's offering in Yosemite. They are not distracting, provide the information you just need, and pull up vital data from the applications you are using already. If somehow Canonical manages to improve the existing notifications, we'd have a superb desktop. While Ubuntu for Android seemed like an ambitious endeavor when it was announced, we're yet to hear any developments in this arena. Apple, and even Google, are aiming for convergence and have almost already achieved it. Apple with Continuity has managed to bridge the gap between smartphone and desktop even further. Lazy Ubuntu users like us are dying for something similar to that, which helps them connect their phones to their desktops. This will at least, eliminate the need to get up and pick up the phone all the time. While Thunderbird pretty much does the job on Ubuntu, it is still lacking in many areas. Canonical can take cue from Apple and come up with a better and more integrated mail application that blends in well with the rest of the desktop. Yosemite features a gorgeous-looking calendar application that helps you keep up with your day's appointments. It is about time Ubuntu users got a dedicated calendar application that possibly ties up with Google Calendar as well. While Ubuntu doesn't necessarily need to "steal" features from Apple, but it does need to look at what its competitors are doing. Taking a few ideas from the Cupertino might help Canonical take its desktop to a whole new level.